First stop: sinking into quicksand in Quartzsite, AZ. Second stop: the land of the 55+ in Yuma, AZ. Now that Christmas was over, the mission was on to head south toward Mexico to celebrate the New Year. 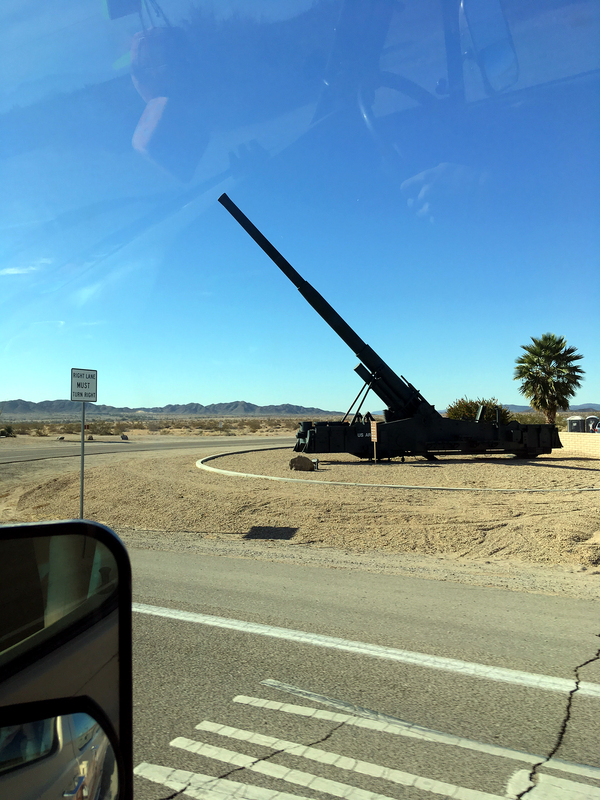 We made it a point to go through Quartzsite before crossing the border because we had heard it was the mecca of everything RV – anything you can think of for mobile living, they’ve got it. And they’ve got tons of them. 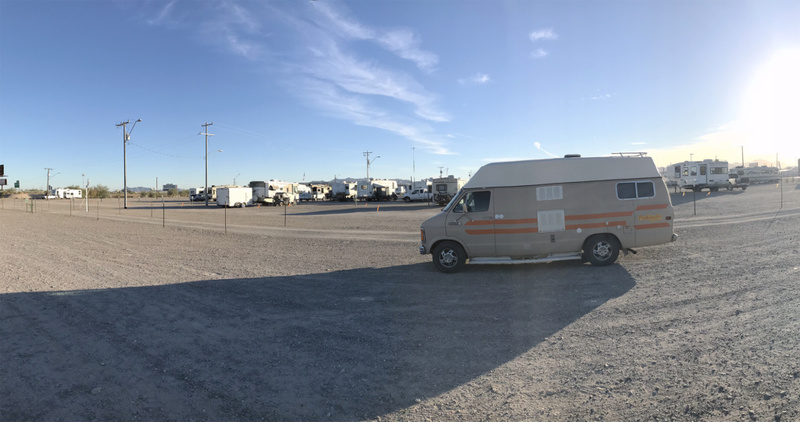 As you’d expect, there’d be plenty of RV parks and RV/vandwellers about…little did we know, the whole place is basically one giant RV park. Being the end of December, this was low season – a few weeks before an ultimate fortnight to come: The Tyson Wells Rock & Gem Show. 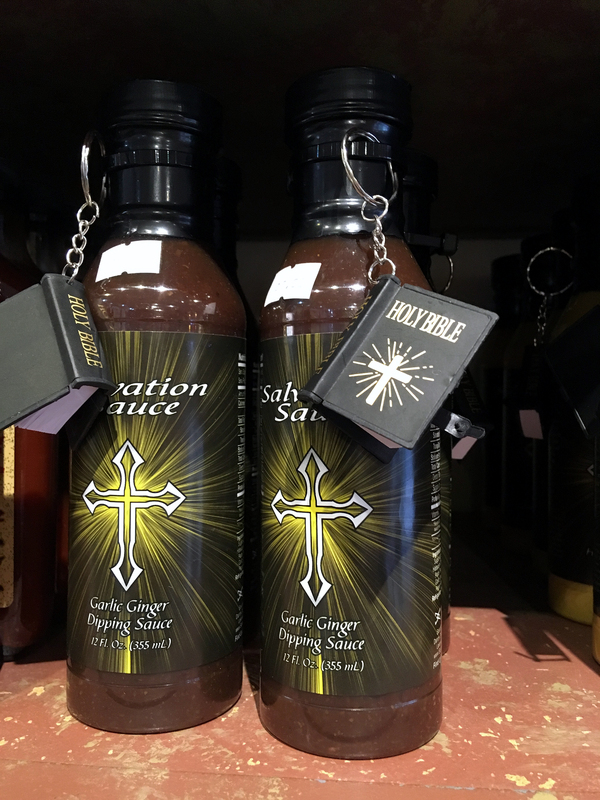 Just when you thought you’ve seen it all…this sacred BBQ sauce will save you and comes with a keychain size Bible for all your portable reading needs. Quartzsite, you’re crazy! Quartzsite gave us the vibe that back in the 70s, a bunch of hippies found their way there and just never left. And we’re not just talking flower child hippies, we’re talking crystal-worshipping, shaman-esque hippies. At the end of the day, it’s pretty cool that this town exists and people come together in such huge masses (over 1 million RVs pass through each year just in the second half of January) over common off-beat interests, but it just wasn’t really our scene. Knowing that there are plenty of free camping areas around, we pulled off into a sandy wash with the hopes of finding somewhere more quiet and secluded and less flea-market-y. As we drove just metres from the main road, Justin said, “maybe we’ll even get stuck or something!” Well. Within 30 seconds, he was eating his words. We got jammed into what felt like quicksand. We tried piling some sticks by the rear tires to gain some traction – we’re rear-wheel drive – but it just went full on food processor and mulched all of our efforts. We tried pushing and digging our tires out but Clementine was so sunken in that every attempt just seemed to make it worse. No caption needed. We stuck! As road magic would have it, a 4×4 truck pulled in just as we were covered in sand and despair (I’m being hyperbolic for effect…we were really just laughing the whole time cause it was so ridiculous). A man, Charlie, popped out and asked if we needed a pull. He seemed like he had been stoned since he was in the womb, so just a regular dude in Quartzsite. He hooked on, we floored it on reverse and made it out of the sandy pit. 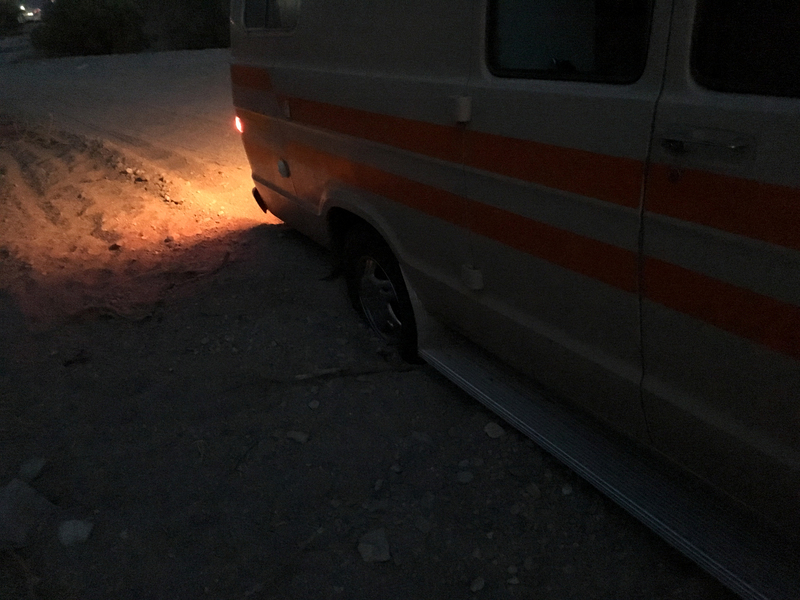 We thanked him, he carried on into the hazy desert and we climbed back in the van to find somewhere with harder ground to sleep – it was dark already by this time. We were about 5m from the main road and were stuck again. Ha, luckily this time a push was enough to get her going but we made a conscious effort to avoid any washes that looked precariously soft after this. First thing in the morning, we got our tires rotated and set out toward Yuma. We dillydallied a bit and didn’t reach Yuma until later in the afternoon so after stocking up on any American rations we needed before going to Mexico, we figured we’d crash at a park and hit the border early the next morn’. Free camping isn’t really a thing it seemed (with the exception of Walmart parking lots) and we were hard pressed to find an RV park that wasn’t age restricted at 55+. Eventually we found a great spot that was cheap and even had a hot tub. No wonder this was snowbird central! I think we saw more Alberta plates in Yuma than we did anywhere in America so far. We filled our bellies with sushi (they say the best Japanese food is just north of the Mexican border, right?) and caught some much needed shut-eye before hitting the border bright and early the next morning.